Welcome to Arizona Western College! It is an exciting time to be a Matador, and we are thrilled you have chosen AWC as the next step of your educational journey. Arizona Western College is a comprehensive community college offering a full range of technical transfer and non-credit course offerings. If your goal is to earn a baccalaureate or higher degree, AWC offers a comprehensive mix of transfer opportunities. In fact, AWC is the only community college in Arizona with all three state universities – Arizona State University, Northern Arizona University and the University of Arizona – on campus. Transferring to a university after completing your studies at AWC is convenient, affordable and seamless. If your interest is occupational or technical training, AWC offers numerous degree and certificate options leading directly to employment. All our technical programs are aligned with industry standards resulting in career-ready graduates. We also take great pride in the state-of-the-art learning facilities that mirror industry work environments. At the core of the Arizona Western College experience is our talented and dedicated faculty and staff. Student success is at the heart of our mission. Earning a college degree or certificate is not easy. It will take significant effort and sacrifice on your part. We will be there to support you every step of the way from registration to graduation. Together, we will get you to your education goal. I would encourage you to make the most of your time at Arizona Western College. There are over fifty student clubs, workshops, speakers, and numerous performing arts and athletic events. In addition, there are opportunities to enhance your learning experience by engaging in service learning and undergraduate research. Your education is not a spectator sport – get involved! For over fifty years, AWC has been committed to serving the educational needs of La Paz and Yuma Counties. As those needs have evolved, so has the college. We have upgraded our technology including a new mobile-friendly website, renovated numerous facilities, added programs, enhanced partnerships and broken ground on the 11,200 square foot Parker Community Center designed to better serve the residents of La Paz County. AWC stands ready to respond to the evolving needs of our students and the communities we serve. We are delighted you will be with us. It is a great day to be a Matador! Dr. Daniel P. Corr began his tenure as the ninth President of Arizona Western College in July 2016. For best results, please call for an appointment. Come join Dr. Corr at the all-campus Town Hall meetings in person or through our live streams. If you missed it, past events can be viewed on the playlist below. Dr. Glenn E. Mayle’s long history with Arizona Western College began when he worked in construction as a teen and helped to dig the original foundation of the college. Later, Dr. Mayle served in a variety of roles before becoming the eighth president of the college. He was an instructor from 1971-1975, as Assistant Dean of Instruction from 1975-1977, and Dean of Instruction from 1977-1984. Dr. Mayle brought more than 28 years of presidential experience to the table when he took the helm at AWC. He previously served as president at Treasure Valley Community College, Ontario, Oregon; Gavilan College, Gilroy, California; and Northeastern A&M, Miami, Oklahoma. His tenure at AWC was characterized by sound fiscal management which allowed him to lead the college through strategic allocations during a period of reduced state funding. 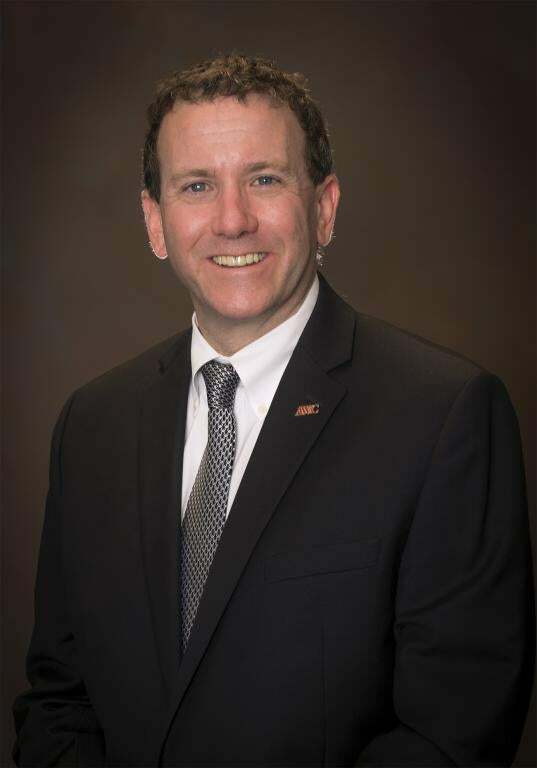 Dr. Marc Nigliazzo previously served as University of New Mexico Vice President for Rio Rancho Operations and Branch Academic Affairs, President of Temple College and Galveston College before accepting the presidency at AWC. A Texas native, he became the inaugural president of Texas A&M University-Central Texas in 2010. Dr. Donald Schoening’s almost 13-year tenure as AWC president yielded a 50 percent increase in enrollment. Under his leadership, a $74 million bond was also passed by voters that allowed for construction of new buildings on the Yuma campus as well as the establishment of campus sites in San Luis, Quartzsite, Parker and Wellton. The AWC Entrepreneurial Center was also established during Dr. Schoening’s tenure. Published during his presidency, Schoening’s “Running a Juice Stand: The 6 E’s of Wise Management” highlights successful business management practices he frequently used while at AWC. Before assuming the presidency at AWC, Shoening was President at Independence Community College, the Vice President of Student Services at Central Washington College and Dean of Admissions at Wenatchee Valley College. Dr. James Carruthers began his affiliation with Arizona Western College in 1969 when he was hired as the Director of Financial Aid under the presidency of Dr. George Hall. Carruthers went on to serve as Director of Housing and Student Activities, Assistant Dean of Students and Dean of Students prior to accepting the interim presidency in 1984. During his time at the College, he also served as an assistant coach on Ray Butcher’s 1972 Matador national championship football team. Over the course of his presidency, Carruthers brought distance learning technology to the campus and successfully worked to establish a Northern Arizona University presence on the AWC campus. After his presidency, Dr. Carruthers went on to serve as a Republican Representative to the Arizona State House of Representatives from 1997-2004. Dr. Kenneth Borland’s 7-year presidency is marked by a commitment to community service within Yuma County. During his presidency, he also served as a Caballeros de Yuma, a member of the Yuma Regional Medical Center Board of Directors, a member of the United Way of Yuma Board of Directors and a member of the Yuma Affordable and Fair Housing Commission. Beloved by the community, the annual Ken and Betty Borland Holiday Pageant and Friendship Tower Lighting bears his namesake. Before accepting the presidency at AWC, Dr. Borland served as the inaugural President of Highland Community College. Following his resignation as AWC President, Borland went on to work as a junior high school guidance counselor for the Crane School District. Dr. George L. Hall came to Arizona Western College with a wealth of past experience in the public sector from time spent serving in the U.S. Army, U.S. State Department and public education. Dr. Hall was a professor of higher education before he moved on to successful presidencies at several community colleges. He served as Director of Latin American Programs within the Education Division of the State Department as well as the Executive Director of the State Board of Directors for Community Colleges of Arizona during the mid-1970s. Dr. Hall also authored an Alaskan adventure, "Sometime Again," and co-authored a series of educational children’s books about foreign countries called "Understanding Your World." Dr. John Barnes was hired as Arizona Western College’s inaugural president in 1962 following a successful vote to approve the Yuma County Junior College District in 1961. Previously the Director of the Bureau of Educational Research and School Services at Arizona State University, President Barnes took the helm as AWC opened its doors August 1963. After five years as president, he went on to serve as president at Boise College, now Boise State University. After 10 years at Boise College, Barnes resigned from office and took a position teaching at Northern Arizona University.